Looking for a synth with an endless array of sonic possibilities? Nathan Rightnour and Jeff Rona of Wide Blue Sound, the makers of the acclaimed Orbit, just released Eclipse for Kontakt and it’s a monster! I’ve had a chance to mess around with Eclipse and it’s filled with gorgeous sounding presets and is very fun and easy to tweak. A full review of Eclipse will follow soon, but for now I wanted to drop a few specs on you and let you know there is a special intro offer. At the heart of ECLIPSE’s sound engine lay the Triple Engine Design pioneered by ORBIT – Pulse Mode creates modern tonal pulses, Chop Mode an electronic/stuttered style, and Flow Mode for stunning pads and textures. 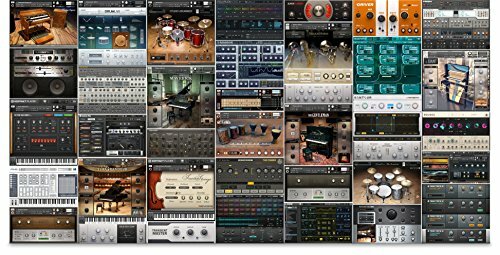 Extensive customization of these modes and other innovations allow sounds to be quickly turned into all kinds of unique synths, arps, pads, and bass – an endless array of sonic possibilities. Don’t miss out on the Eclipse launch sale! $30 off Eclipse with the code ‘eclipse’, and an extra $50 off the already-discounted Planetary Bundle with the code ‘planetary’. For a limited time only.